4.0 out of 5 based on 13 bloggers and 3 commenters. 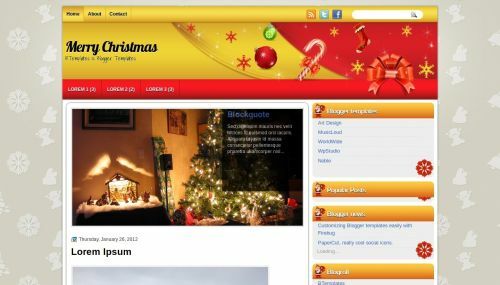 Merry Christmas is a free blogger template with 2 columns, right sidebar, rounded corners, an exclusive design for Blogger, slider, social bookmarking icons and vectorial elements. Excellent template for blogs about christmas, family, home and decoration or kids. can i have this type of blogger template for Valentine Day?